Penalty conceded by Mathieu Debuchy - St Etienne - after a foul in the penalty area. Penalty Monaco. Thomas Lemar draws a foul in the penalty area. Pietro Pellegri - Monaco - won a free kick on the right wing. Corner - Monaco. Conceded by Mathieu Debuchy. Corner - Monaco. Conceded by Loic Perrin. Loic Perrin - St Etienne - won a free kick in defence. Missed chance. Loic Perrin - St Etienne - shot with the head from the centre of the box missed to the left after corner. Corner - St Etienne. Conceded by Fabinho. New attacking attempt. Moussa Sylla - Monaco - shot with right foot from the centre of the box is saved by goalkeeper in the centre of the goal. New attacking attempt. Thomas Lemar - Monaco - shot with left foot from outside the box is saved by goalkeeper in the centre of the goal. Substitution - Monaco. Pietro Pellegri for Youri Tielemans. Missed chance. Djibril Sidibe - Monaco - shot with right foot from the right side of the box is high and wide to the right. Assist - Moussa Sylla with a head. Missed chance. Jonathan Bamba - St Etienne - shot with right foot from outside the box is high and wide to the right from a free kick. Rémy Cabella - St Etienne - won a free kick in attack. Corner - St Etienne. Conceded by Kamil Glik. Shot blocked. Romain Hamouma - St Etienne - shot with right foot from the right side of the box is blocked. Assist - Mathieu Debuchy. Jonathan Bamba - St Etienne - won a free kick in defence. Shot blocked. Jemerson - Monaco - shot with the head from few metres is blocked. Assist - Thomas Lemar with a cross. Substitution - St Etienne. Ole Selnaes for Gabriel Silva - injury. Delay in match Gabriel Silva - St Etienne - - injury. Corner - Monaco. Conceded by Kévin Théophile-Catherine. Substitution - Monaco. Rachid Ghezzal for Rony Lopes. Substitution - Monaco. Djibril Sidibe for Almamy Touré. João Moutinho - Monaco - won a free kick in attack. Missed chance. Mathieu Debuchy - St Etienne - shot with the head from the centre of the box missed to the left. Assist - Romain Hamouma with a cross after corner. Corner - St Etienne. Conceded by Jemerson. Shot blocked. Rémy Cabella - St Etienne - shot with right foot from the right side of the six yard box is blocked. Assist - Mathieu Debuchy. New attacking attempt. Jonathan Bamba - St Etienne - shot with right foot from the left side of the box is saved in the left corner. Assist - Romain Hamouma. Substitution - St Etienne. Kévin Monnet-Paquet for Assane Dioussé. Substitution - St Etienne. Romain Hamouma for Paul-Georges Ntep. Missed chance. Moussa Sylla - Monaco - shot with the head from few metres goes high. Assist - Julien Serrano with a cross. New attacking attempt. Rémy Cabella - St Etienne - shot with right foot from the left side of the box is saved in the right corner. Assist - Paul-Georges Ntep. Kamil Glik - Monaco - won a free kick in defence. Jonathan Bamba - St Etienne - won a free kick in attack. New attacking attempt. Rony Lopes - Monaco - shot with left foot from outside the box is saved by goalkeeper in the centre of the goal. Assist - Youri Tielemans. Delay in match Rémy Cabella - St Etienne - - injury. Missed chance. Fabinho - Monaco - shot with right foot from outside the box missed to the left. Missed chance. Kamil Glik - Monaco - shot with the head from the centre of the box missed to the left. Assist - Thomas Lemar with a cross after corner. Corner - Monaco. Conceded by Neven Subotic. Shot blocked. Youri Tielemans - Monaco - shot with right foot from outside the box is blocked. Assist - Kamil Glik with a head. Paul-Georges Ntep - St Etienne - won a free kick in defence. Almamy Touré - Monaco - won a free kick on the right wing. Second Half starts Monaco 0, St Etienne 0. First Half ended - Monaco 0, St Etienne 0. Missed chance. Thomas Lemar - Monaco - shot with left foot from outside the box missed. Assist - João Moutinho. Shot blocked. Loic Perrin - St Etienne - shot with left foot from outside the box is blocked. Corner - St Etienne. Conceded by Almamy Touré. Fabinho - Monaco - won a free kick on the right wing. Kévin Théophile-Catherine - St Etienne - receive yellow card. Missed chance. Jemerson - Monaco - shot with the head from the centre of the box missed. Assist - João Moutinho with a cross after corner. Jemerson - Monaco - won a free kick on the left wing. 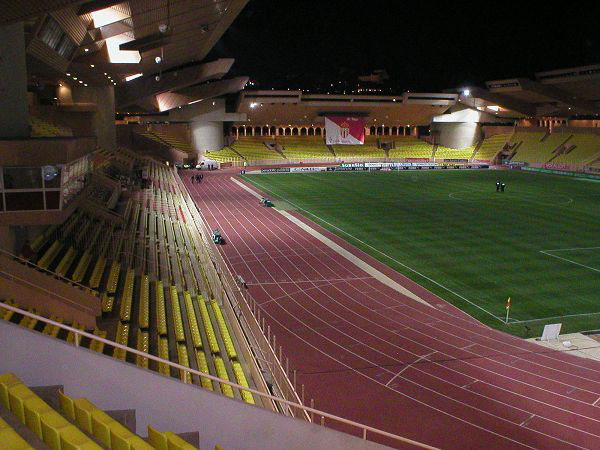 Offside - Monaco. João Moutinho with a pass, however Moussa Sylla is in offside. Missed chance. Rony Lopes - Monaco - shot with left foot from outside the box goes high. Assist - Fabinho. Missed chance. João Moutinho - Monaco - shot with right foot from outside the box goes high. Assist - Rony Lopes. New attacking attempt. Gabriel Silva - St Etienne - shot with right foot from the left side of the box is saved in the top centre of the goal. Assist - Yann M'Vila. Offside - Monaco. João Moutinho with a pass, however Thomas Lemar is in offside. Shot blocked. João Moutinho - Monaco - shot with right foot from outside the box is blocked. Julien Serrano - Monaco - won a free kick on the left wing. Missed chance. 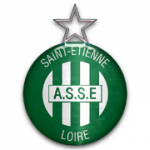 Loic Perrin - St Etienne - shot with the head from the centre of the box missed to the left. Assist - Rémy Cabella with a cross . Gabriel Silva - St Etienne - won a free kick on the left wing. Missed chance. Youri Tielemans - Monaco - shot with right foot from the centre of the box missed. Assist - Thomas Lemar with a cross. Missed chance. Rémy Cabella - St Etienne - shot with right foot from the centre of the box missed. Assist - Gabriel Silva. Missed chance. Thomas Lemar - Monaco - shot with left foot from outside the box missed. Assist - Fabinho. Julien Serrano - Monaco - receive yellow card for a foul. Mathieu Debuchy - St Etienne - won a free kick in defence. Missed chance. Rémy Cabella - St Etienne - shot with left foot from outside the box is high and wide to the left. Assist - Jonathan Bamba. Shot blocked. Moussa Sylla - Monaco - shot with right foot from a diffucult position on the right is blocked.